Added on November 21, 2013 by Erin White. OPEN FOOD is a series of single topic booklets that introduce, explain and share various parts of local food systems. Our goal for the OPEN FOOD booklet series is to build participation in the food system. We are designing these booklets to spark conversations about local food systems with information and graphics that are easy to share. All the details at our kickstarter page. 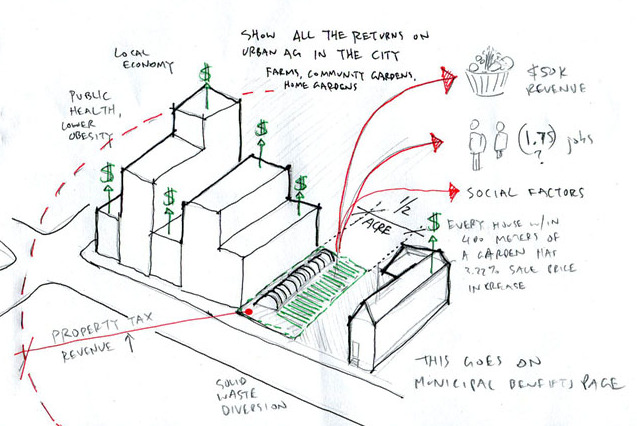 An earlier blog post on the project tells it this way: "Because urban agriculture is a frequently misunderstood yet rapidly growing phenomenon with immense benefits, our design team is currently working on a booklet series meant to inform readers about urban agriculture and local food." Take a moment to explore our campaign! Hope you love it, share it, and decide to become a backer. We'd love to have you on board!